The most popular fillers that I use in my practise are hyaluronic acid products, a sugar molecule that you already have in your skin. Some of our products include Emervel and Juvederm, and they are excellent at enhancing or augmenting the volume of the lips. In addition, Botox injections can be used to soften the look of wrinkles around the mouth. The key to a natural looking lip rejuvenation is to not go over-board and create a lip shape that has too much pout, or the “trout-pout” look that is commonly seen in the media. Your friends and acquaintances should notice that your mouth looks beautiful, but not over-done. Your mouth should take on a softened, more defined, fuller look, but without the extreme over-inflated shape. Another way to achieve lip rejuvenation and to soften crinkling lines around the mouth is with the use of a laser treatment. Lasers can smooth or even completely remove the lines around the mouth, giving a smoother appearance and tightening any loose skin. 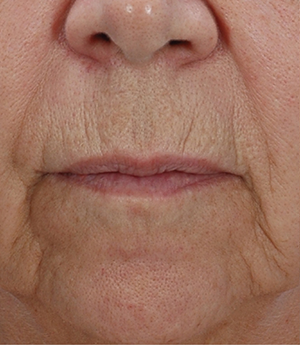 Sun damage of the lips, such as broken vessels, red spots or pigmentation can all be improved with a laser treatment or light therapy (IPL or BBL). See below. 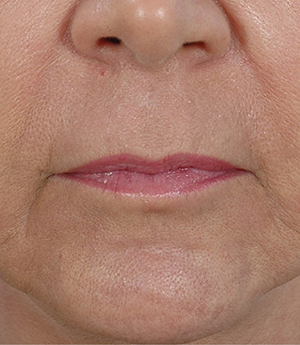 As with all cosmetic procedures, the most important thing is to identify your goals, have your surgeon go over what needs to be done to achieve them (increase volume, improve skin quality, diminish wrinkles) and design a plan to give you the gorgeous (and natural looking) lips that you really want. As with any cosmetic treatments to the face, you should always consult a qualified plastic surgery to go over the best options to achieve your desired results and to review the pros and cons of lip enhancement. If you are interested in lip enhancement, click here to book a consultation with Dr Shortt or telephone 905-849-4282.